Be the homeowner/rental property owner, and you must be in good credit standing with the city. Be a City of Charlottesville gas customer using natural to heat your home. 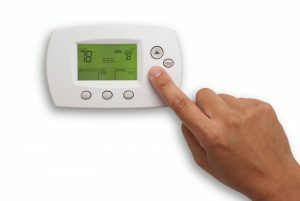 Provide the city with a receipt for your thermostat and/or its installation, as well as your completed rebate form. Also, note that this rebate is only good on a one-per-household basis, and that new construction installations don’t qualify. Bring your old thermostat to the Utility Billing Office so that they can dispose of it properly. Contact Mack Morris Heating & Air Conditioning with any questions that you may have. W can’t control the weather outside of your home, but we can control the weather inside your home.